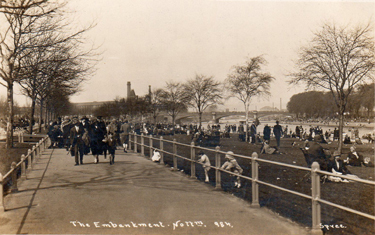 Trent Embankment, Nottm. 65_ ? 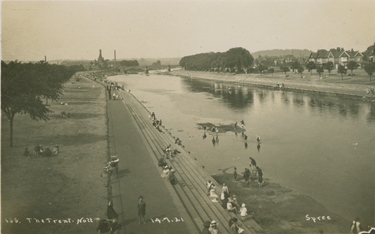 A portion of Trent embankment possibly photographed from the railway bridge that used to cross the Trent at this point. 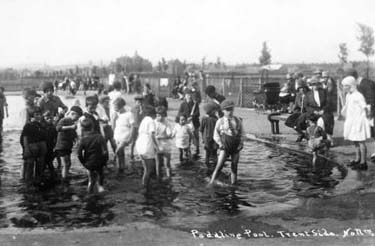 Paddling Pool. Trent Side. Nottm. 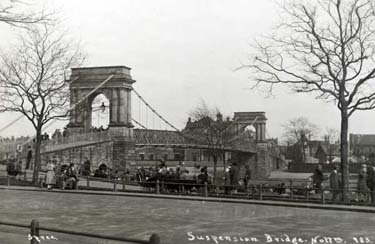 The Suspension bridge as viewed from the Victoria Embankment. The view of the Victoria Embankment as seen from the suspension bridge. 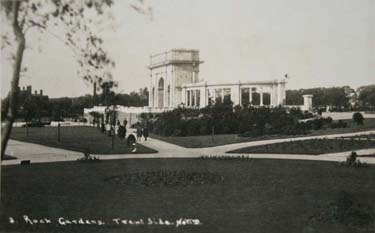 Date taken appears to be 14 July 1921. 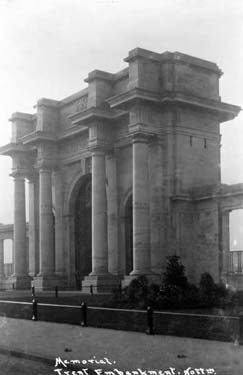 Nottingham's memorial to those who died in World War I. Erected on the Victoria embankment in 1927. 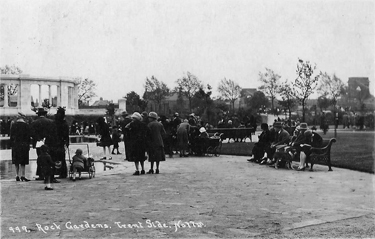 Not shown on front of postcard. 2. Memorial. Trent Embankment. Nottm. 997. 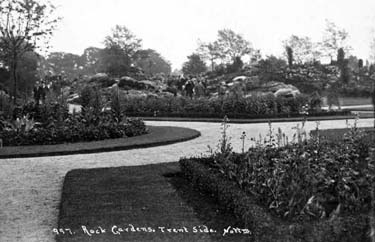 Rock Gardens. Trent Side. Nottm. 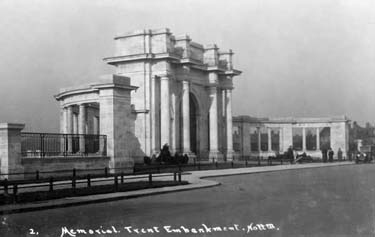 The gardens behind Nottingham's memorial to those who died in World War I. 999. 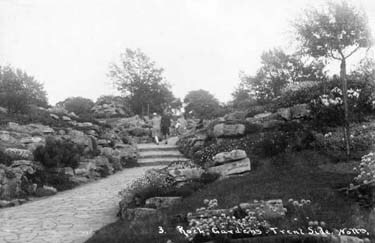 Rock Gardens. Trent Side. Nottm. 2. Rock Gardens. Trent Side. Nottm. 3. Rock Gardens. Trent Side. Nottm. Some time in the 1920s. 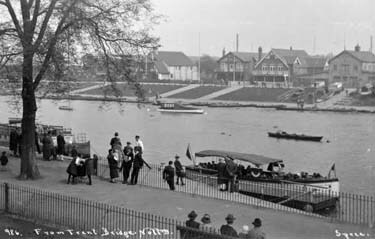 Part of the Victoria Embankment with Trent Bridge in the far distance. 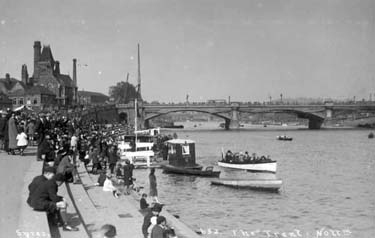 Looking across Trent Bridge from the northern bank of the river. 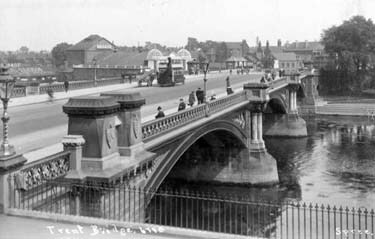 From Trent Bridge, Nottm. 914 ? 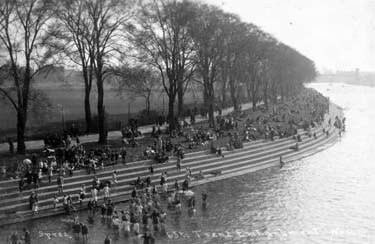 Looking down on the section of the riverside walk east of Trent Bridge. A view looking back at Trent Bridge from the riverside on the east of the bridge.